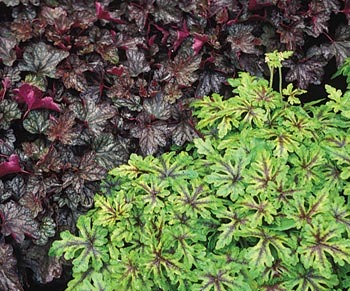 Extremely useful group of plants because of the wide array or leaf colors, leaf size and leaf textures available. Plants grow to 12–16 inches in nice tight mounds. Most prefer light shade while the newer villosa hybrids are more heat-tolerant and are larger plants. Summer blooming with tall spikes of flowers. Combines well with many perennials. Space 10–16 inches apart. Perennial. Hardy in Zone 3.